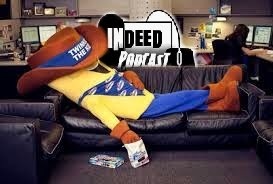 Welcome to a new Indeed Podcast. Kerry bails, 2nd week. Time to call the Police Squad. Weekly Roundup Starts with FACEBOOK allowing female employees to freeze their eggs. Also preparing for the end of the Cloud and the military prepping for climate change. Creepy or Cool: Smell one food, then eat another. Where is my bowl of Twinkies. What If: addicted to Tech, well.... its a thing now. We also talk about the new WoW release on the steps of WoD. Parting Thought DC releases their Movie rollout for the next 6 years to only make us wonder who is really in charge there. Sit Back, Relax and Pull up a chair. Facebook says freeze, and they ain't talking about your Popsicle. This shows Music from Police Squad!